Vogue 8876 is another pattern with interesting lines from Marcy Tilton. I d0 not need a dress – I do need another logo top – with longer sleeves. The cold season has descended and all the previously sewn sleeveless and short sleeved logo tops would fall short of keeping me warm in the frozen tundra. Found a piece of a navy/grey narrow striped 60″ wide knit. It is not lightweight – and not as heavy as a sweatshirt knit. It is somewhere between. Scraps of a lightweight grey knit were used as the front facings and the inner collar. The front facings were sewn so the grey fabric shows just slightly. It looks like very narrow piping. The outer collar is sewn from the logo portion of a clearance navy sweatshirt purchased at the college my daughter attends. The letter on the sleeve was also cut from the same sweatshirt. The plan was to create a jacket that was fashioned much like the vest Marcy Tilton features on her blog. Following her example, the bottom band was eliminated and a 24″ separating zipper was installed in the center front. Hubris being what it is, I did not read any reviews of the pattern…until I had already cut it out. Other reviewers were correct – the pattern is quite “roomy”. Its width was reduced by 4″ – 5″ during fitting. Detail of fabrics and faux piping. The zipper I had used was red – which overwhelmed the top (and looked rather clownish). It was removed and replaced with navy buttons. The front pleats reminded me of junior high school gym uniforms, so to preent nightmares, they were removed! No Gym Uniform Pleats here! 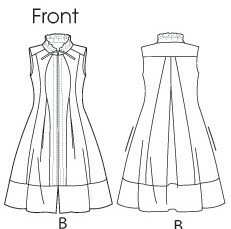 The sleeves of the pattern are exactly the right width and length. They can be pushed up slightly – and are narrow enough to actually stay there! The tunic has a more pronounced flare shape than any of my other tops, but I look forward to wearing it on our trip to visit the daughter at school. I always enjoy creating clothing with logos. It is always fun to move the logos around to determine where best to place them! 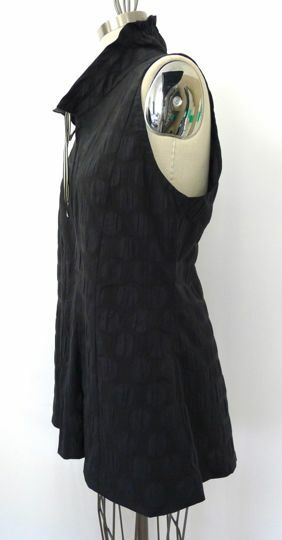 The back yoke was my first choice for the logo, but moving it to the collar gives the tunic a unique look! 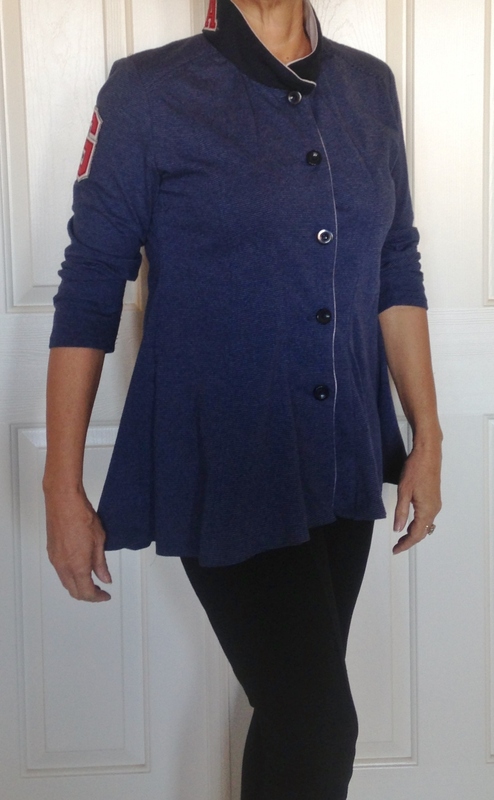 This entry was posted in Clothing, Repurpose, Scrap Couture, Sewing, Stash Couture and tagged Marcy Tilton Top, sewing logo tops, TIlton Tunic with logos, Vogue 8876. Bookmark the permalink. Wow, you have been busy! I love this too. Your placement of the logo is great. I read your coat and blouse posts too and am very impressed. 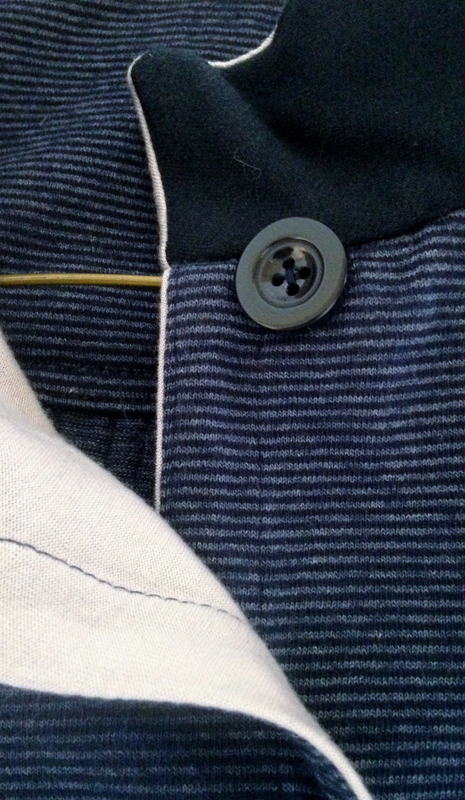 I don’t often get the opportunity to sew/wear cold weather clothes, so took advantage of this upcoming trip to do so. You made some great changes! Good job! Hooray! This is fantastic!! and kismet as well, i just posted a very similar version of this pattern which i made up in stretch denim, it has a bit of a ‘frock coat’ feel. I finished it about a month ago, when the weather started to cool down here, and it’s so easy to wear. What a great design! i forgot to mention i love the mix of fabrics and faux piping…i love the opportunity for those type of details on this design (i’ve made three so far, collecting fabric for the fourth) and you took full advantage. Wonderful! !